Even babies need to have their teeth checked, no matter how adorably few there are! Through an IG post, Saab Magalona showed us Baby Pancho's first dentist appointment and it's honestly enough to make every day better! LOOK AT THOSE CHEEKS! Newlyweds Kylie Padilla and Aljur Abrenica took baby Alas to the barber's this January. Sooo cute! Alas sat on his dad's lap as the barber shaved his curls while Kylie hovered, collecting his hair. For her IG post's caption, Kylie said: "He was just his same curious self. Kami yung naiyak hindi siya e."
Just last month, Scarlet introduced us to her two new friends, mini schnauzers named Skye and Chase that her mom Vicki Belo got for her! Also, she *almost* got this snake for Christmas, but Kuya Kim Atienza gave her a tortoise instead. Marian Rivera and Dingdong Dantes brought Zia to get her first haircut in December, and the three-year-old seemed to have the time of her life getting a style that looked just like her mom's! Later, she demanded, "I need short hair." 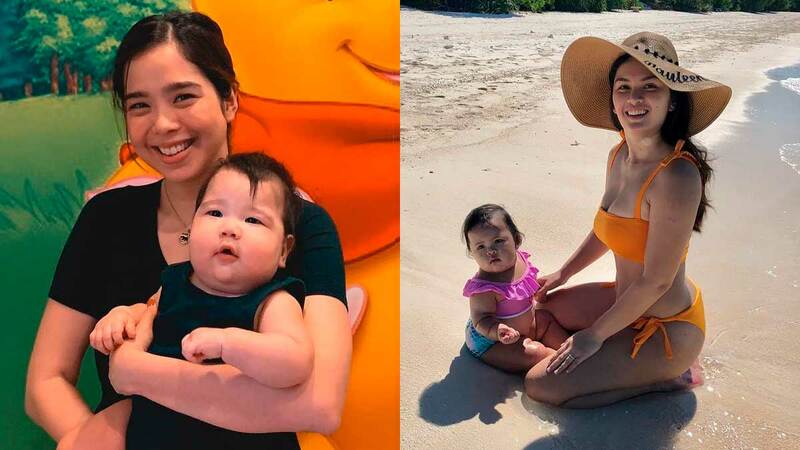 Before her first birthday, Talitha's parents Paulene Luna and Vic Sotto took her to Amanpulo, Palawan. It looks like she had the best time soaking up some rays and making splashes for the first time!